1h 10 min bike ride to the bothy. 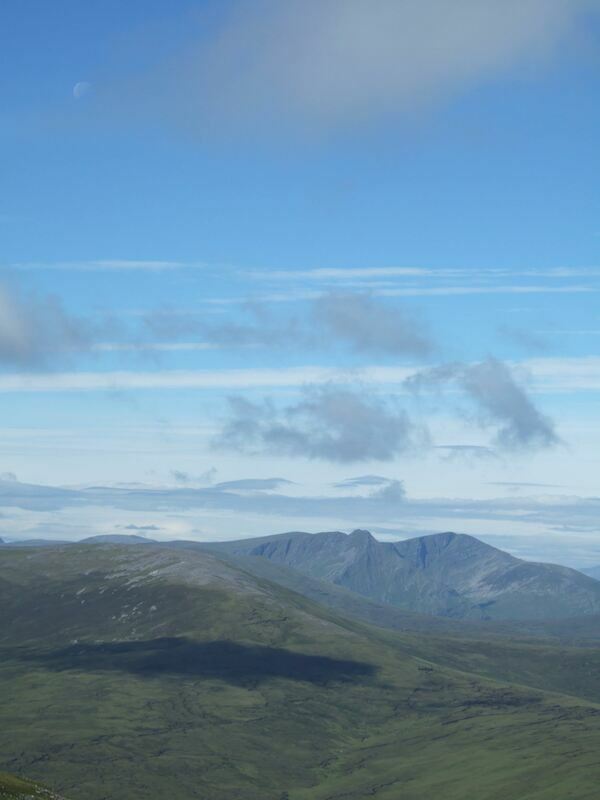 1h 0 min return from the bothy. 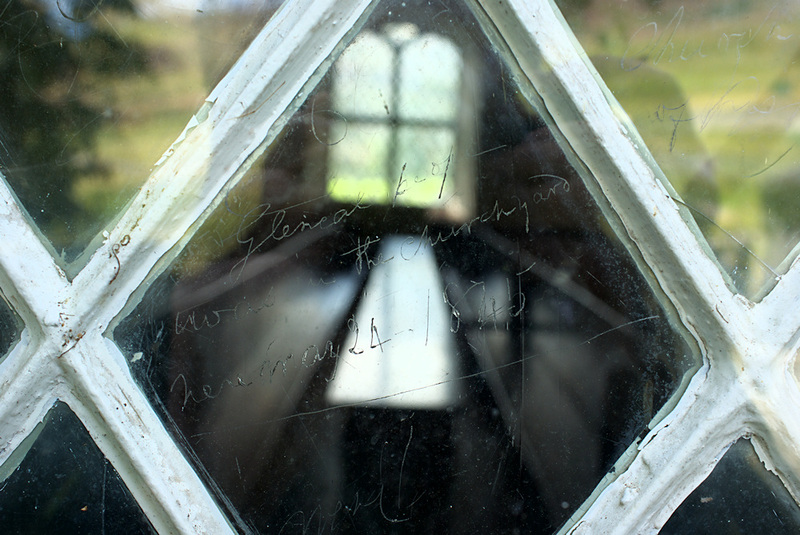 It is well worth paying Croick church a visit, to see the scratched words on the east window, made by those evicted from their homes during the clearances. I HAVE DELETED SOME OF THE PHOTOGRAPHS FROM MY FLICKR ACCOUNT! I WILL REPLACE THEM FROM MY HARD DRIVE, BUT I AM WORKING OVERSEAS AND WILL NOT BE BACK UNTIL JUNE. SORRY FOR ANY DISAPPOINTMENT CAUSED! I had been looking forward to this hill for some time as the prospect of a night in a bothy always adds to the appeal. 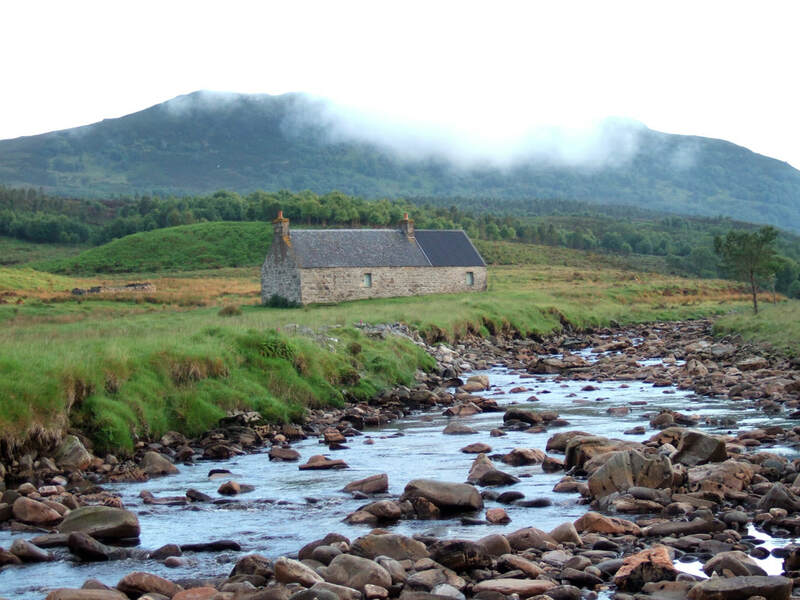 I had been aware of the existence of the bothy for some time and there is information on the Croick Estate website. 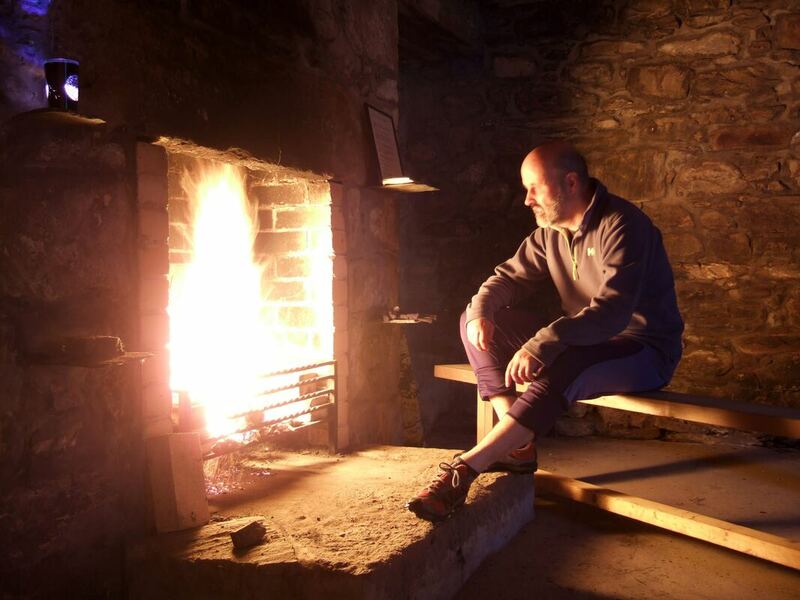 Someone had also recently published a photograph of the bothy on the non-official Mountain Bothies Association page of Facebook. Cryptic clues were given but the location limited to "north of the Ullapool road". There seems to be a tendency to keep such things very hush hush! I suppose this is in the true tradition of bothying. 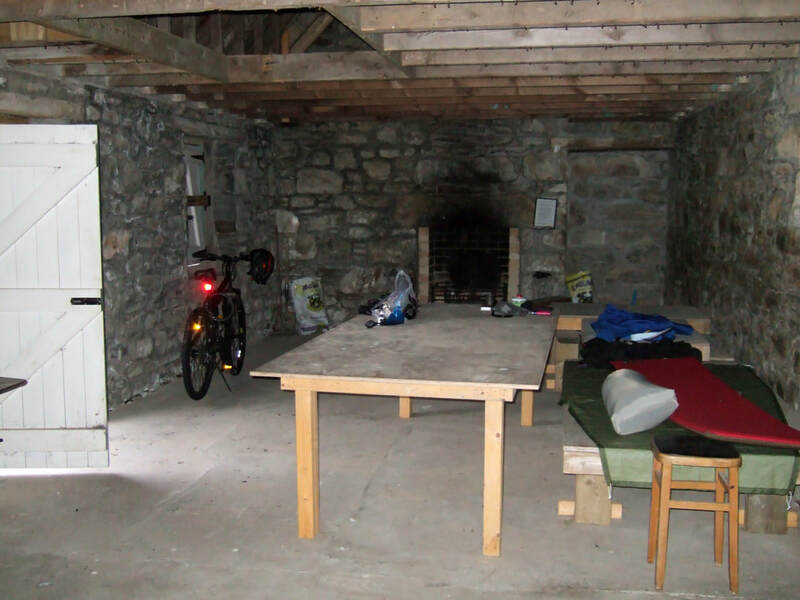 However, as the bothy is publicised on the estate's website, I feel that revealing the location of the bothy here is not really an issue. 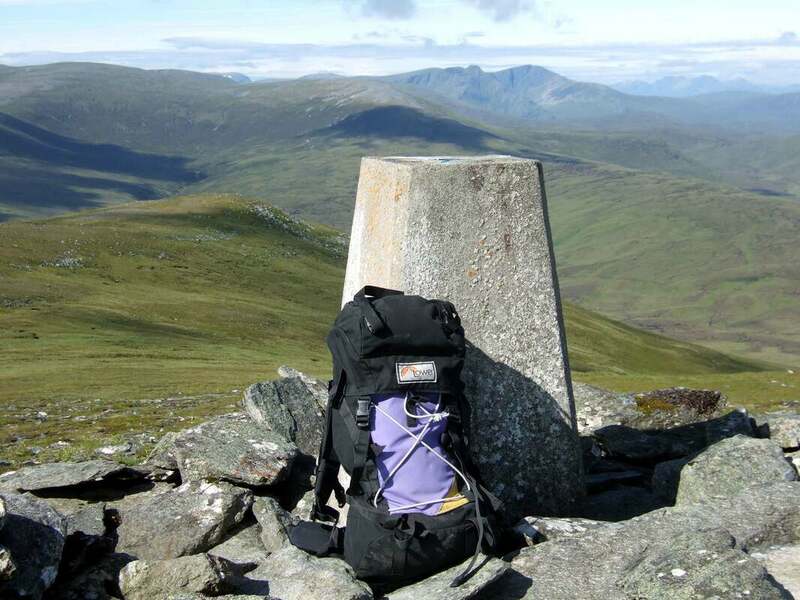 The midges were out in force as I assembled my bike and added a last few things to my pack. 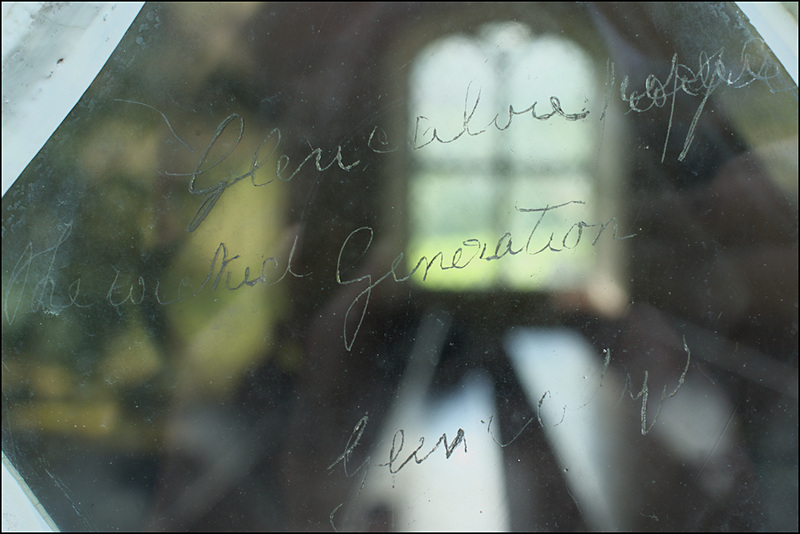 However, I took the time to look at the churchyard and the scratched notes on the east window of the church. These were mostly written by those evicted from their homes in Glencalvie in 1945. There is also a further message from the later clearance of Strathcarron in 1954. 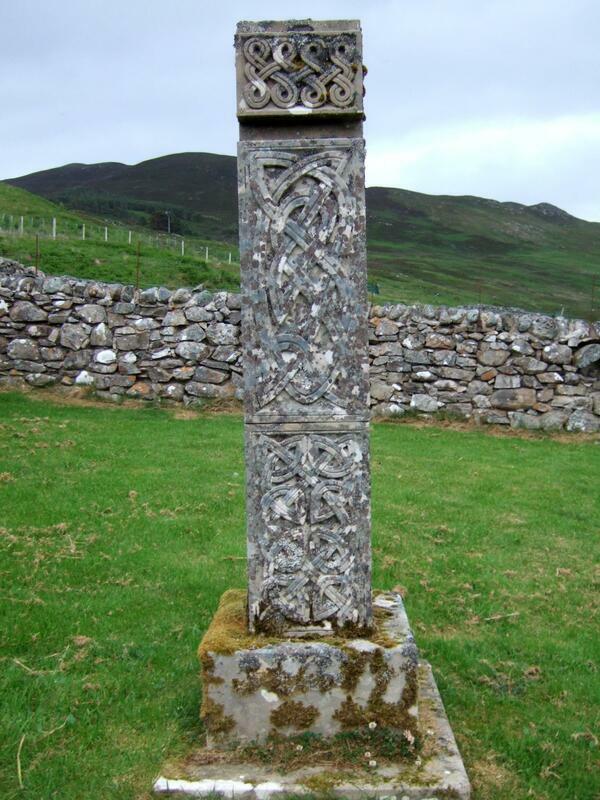 For further information, see the Croick Church website. ​The two images below are much better than my own and found via a google search. I set off at 2030, which is quite late in the day, as I had stopped to watch Wales beat Northern Ireland before setting off from home. 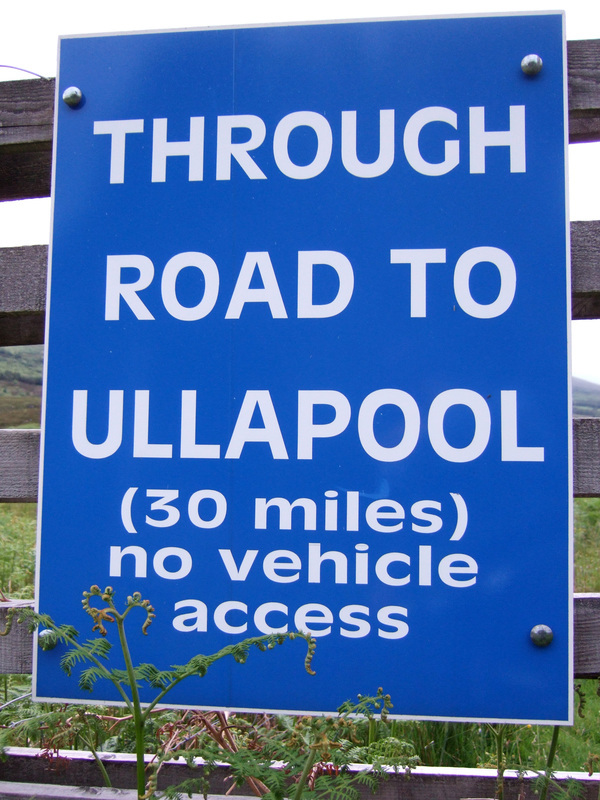 The route ahead was signposted as a through road to Ullapool. After about 6km, I reached the farm at Luvachoinnich. Checking my map, I could see that I was two-thirds of the way to the bothy, though the track surface deteriorated slightly beyond the farm. 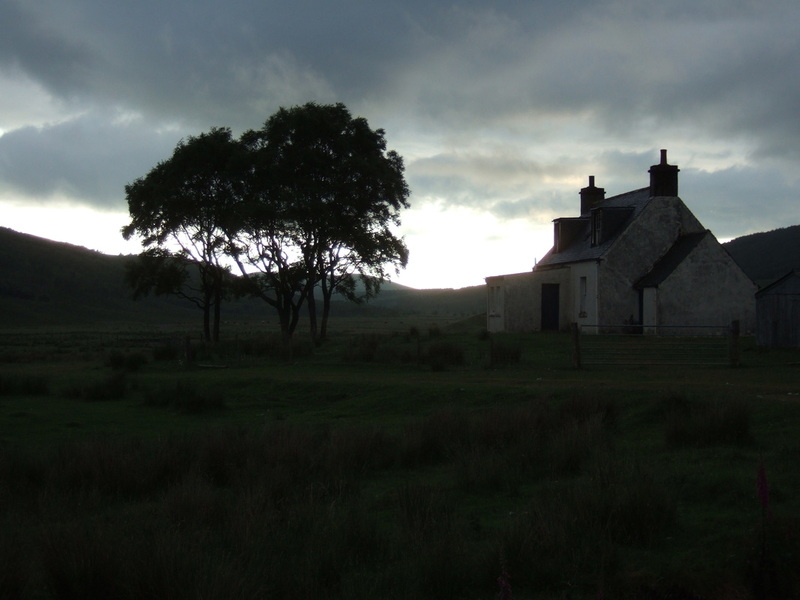 The weather to the west looked much brighter than the east and when I reached the bothy, it was illuminated by the late evening sun. 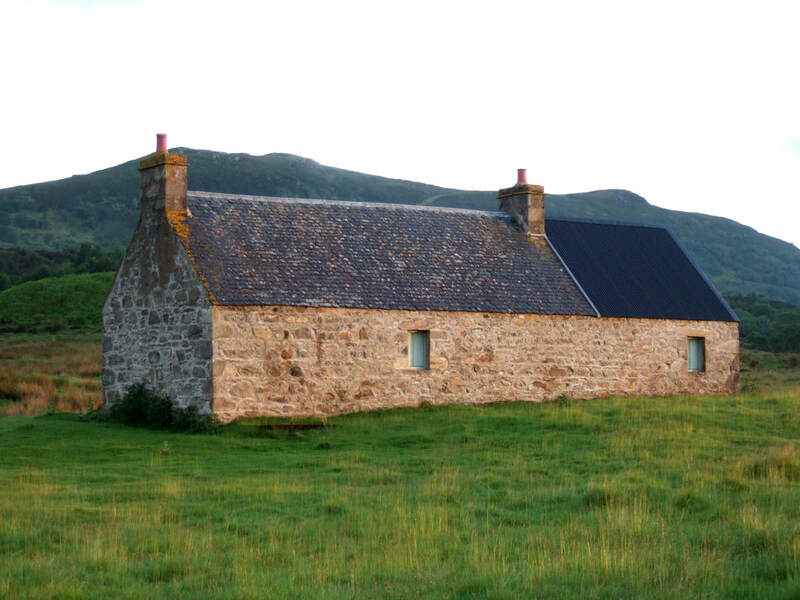 I was not sure if it was the bothy as the photos I had seen were of the other side and showed a new roof along its length. The greater part of the west side of the roof is still the old slates. The section that is completely re-roofed with corrugated sheets (right hand third seen below) is the byre. There are no window panes; just wooden shutters which allowed the late evening sunshine through the gaps. These were effective on a warm summer's evening but could be a bit draughty in the other three seasons. The estate website states that the estate usually leaves wood. There was a fence post in the byre but it was unclear as to whether this was intended as firewood and there were no saws or axes to cut it up to fit the hearth. There was a large table as well as a smaller one in the "kitchen area". Also a long, well made bench and an odd mixture of platforms, one of which was just long enough to act as a bed, though my feet were supported by my therm-a-rest sticking out the bottom. The place was absolutely dry, clean and without any evidence of rodents. I had sorted out my kit and and got a bit of a fire going using a Zip 3 In 1 Smokeless Fire Log and a mixture of bits of dirt, sawdust and tinfoil that I found in a bag. There was an old fence post in the adjacent byre but no means to cut it up. I then popped outside and experimented with the camera as the sun dropped behind the hillside. It was getting late and I wanted an early start in the morning, but I also wanted to enjoy the fire for a while. I was up at 0530 and off up the hill at 0630. This turned out to be wise as the fine weather did not last all day. Indeed, rain was forecast for later in the day and the forecast was spot on! The cloud on the hills of west Sutherland was quickly breaking up and visibility improving. I reached the summit at around 0915. 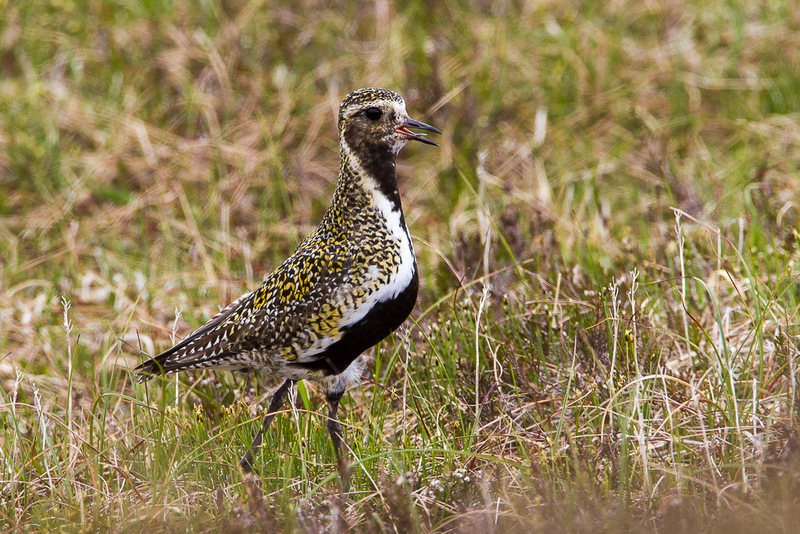 A Golden Plover had been keeping me company (or keeping an eye on me) for some time. I do not have the sort of lens capable of obtaining a good photo of distant birds and I didn't even try. However, here is a wonderful photo of one from highlandwildlifephotography.co.uk. 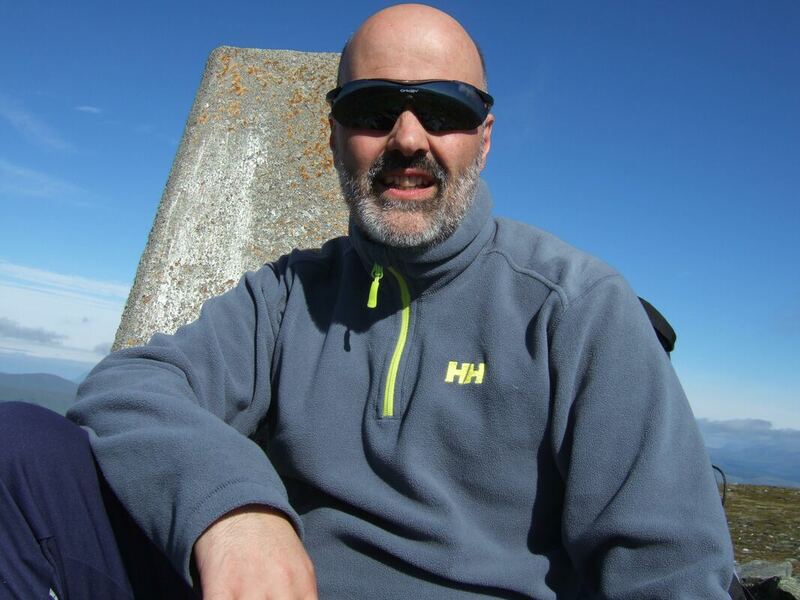 While I had been sweating in the sunshine as I walked uphill, there was a slight nip to the early morning breeze so I put my fleece sweater back on before the customary summit selfies and other photos. While I remembered my scull cap to fit under my bike helmet and a woolly hat, I forgot my sunhat resulting in a flaky scalp. 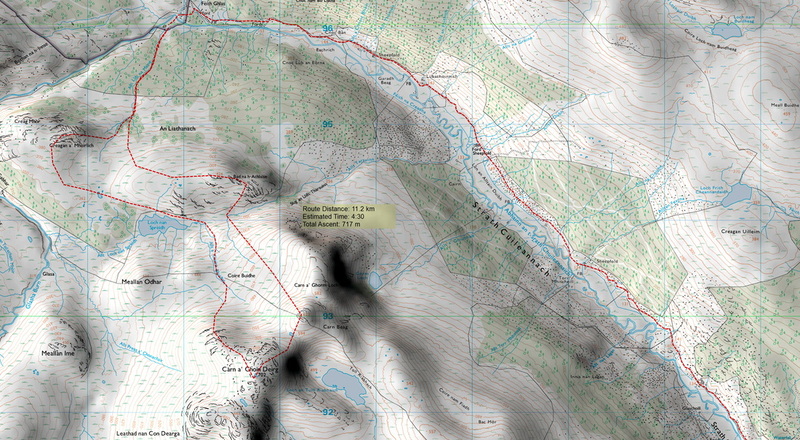 I took the north-west spur before heading for a small burn that looked like it would offer the easiest ground leading to lochan nan Spredh. Onwards to a smaller unnamed lochan, here looking back at Carn a'Choin Deirg. Continuing to the subsidiary minor top at NH 39340 94455 I then descended towards the burn leading down to the bothy. On my way, I found a partly buried old fence post which I carried down to the bothy. A quick cup of coffee and a cereal bar before heading back to the church at Croick.